At the same time, in an obviously coordinated move, the (then) US Defence Secretary Leon Panetta told reporters that while military spending cuts needed to be made, “we will protect, and in some cases increase our investments in special operations forces, in new technologies… and unmanned systems…” As if to prove the Administration’s words, in the same week a new training simulator facility opened at Creech Air Force base in Nevada, enabling the US to triple its training of drone pilots. Drone pilot shortage continues to be a problem and those being trained on civilian drone pilots courses apparently often end up working for the military. Not to be out done by the military, in October the Washington Post reported that the CIA too wants to expand its own fleet of armed drones. 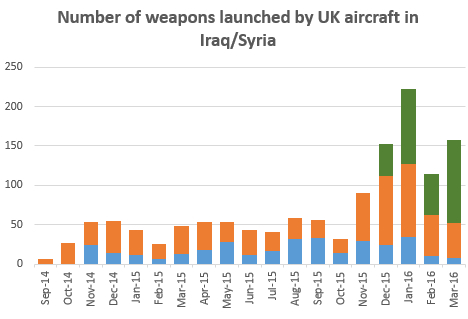 Unsurprisingly, given this political commitment, throughout 2012 the use of unmanned drones to launch air strikes in Afghanistan and Yemen rose according to analysis from the Bureau of Investigative Journalism (NB it is not always possible to be certain about use of drones as opposed to manned aircraft in Yemen). 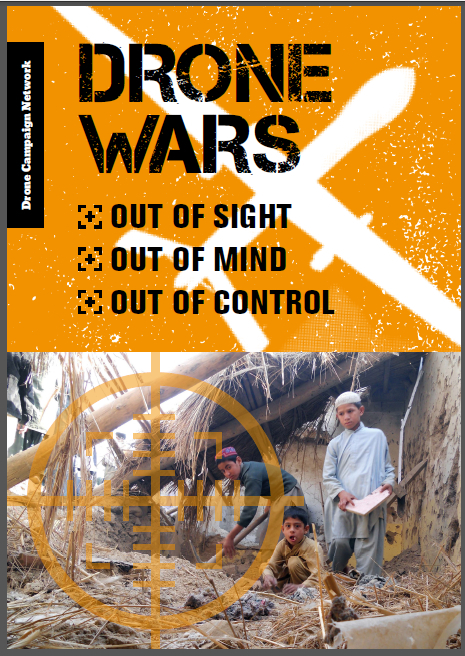 However the numbers of drones strikes in Pakistan (around fifty in 2012) is down about a third on the 2011 figure. The newly configured RAF 13 Squadron will operate five additional British Reaper drones purchased by David Cameron from the US at the end of 2010 and just now coming into service. The new Unmanned Capability Centre, being run on behalf of the MoD by QinetiQ, will be based at Boscombe Down. Little is known so far about its planned work. Indeed when asked about its budget in a Parliamentary Question, an MoD minister could only say “We do not yet know the likely cost” – an amazing answer given the tight economic constraints other departments have to currently operate under. Israel, the third country alongside the US and the UK that currently uses armed drones also expanded its use of drones during 2012. While Israel has regularly used drones to undertake airstrikes in Gaza, the use of drones during operation Pillar of Defense in November 2012 was described as “unprecedented” by Israeli sources. In addition during 2012 almost unnoticed Israel undertook a drone strike in Egypt for the first time, assassinating an individual who had recently been released by Egyptian security forces. Israel also continues to be a key exporter of drones around the globe and it was reported that Israel Aerospace Industries (IAI) is planning to set up drone training academies around the globe in conjunction with academic institutions. Matching this political commitment, the military industry is also increasingly committing resources to developing unmanned systems with several major drone projects reached important milestones in 2012, including Boeing’s Phantom Eye, Northrop Grumman’s X-47B and Dassault’s Neuron. In April market analysts Teal Group released a forecast estimating that spending on drones will almost double over the next decade from current worldwide UAV expenditures of $6.6 billion annually to $11.4 billion, totalling just over $89 billion in the next ten years. Much of this predicted spending will come through drones exports. A report from the US Government Accountability Office (GAO) released in the summer examined the proliferation of UAVs. The report showed that between 2005 and December 2011, the number of countries that posses some form of military drone technology rose from 41 to 76. Although the vast majority of these countries possess drones of a limited ability – the British MoD estimated in October that “less than a dozen” countries possess armed drone technology – it is however bound to increase. While the proliferation of drones and drone technology is controlled under the Missile Technology Control Regime (MTCR) – the MTCR is coming under increasing pressure from the large military companies involved in developing and manufacturing drones who see the MTCR as limiting their industry. Wes Bush, CEO of US drone manufacturer Northrop Grumman, is one senior military industry figures who has publicly spoken out against the MTCR saying that controls “hurt industry” and the agreement “needs an overhaul”. In addition to this public lobbying, the GAO report published in Summer 2012 detailed “six US-sponsored UAV-related proposals” to amend the MTCR over the 2005-2011 period, five of which “would have resulted in moving some UAVs currently categorized under MTCR Category I to Category II” and thus making them more easier to export. The five proposals were rejected by other members of the MTCR. 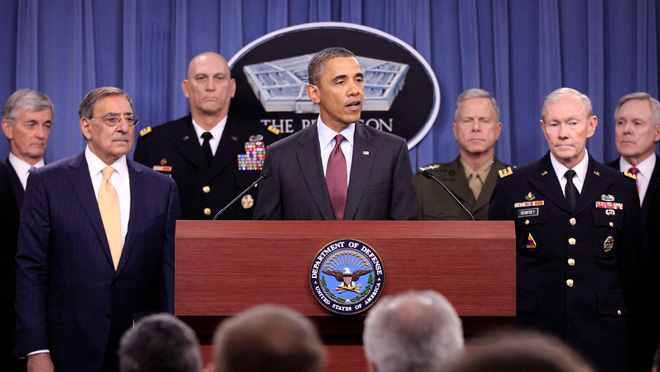 In May 2012 September 2012 the Pentagon notified Congress that it planned to arm Italy’s fleet of Reaper drones. According to the Wall Street Journal “[US] officials said it would take at least a year to complete the upgrade of Italy’s Reapers and train Italian pilots to use the weapons and targeting systems.” Also in May, at the NATO Summit in Chicago, NATO signed a contact with US company Northrop Grumman to purchase five Global Hawk UAVs. NATO paid $1.7 billion to purchase the drones and expects to spend another $2 billion to operate the aircraft over the next two decades. At the end of the NATO summit, Turkish officials told the press that President Obama had informed Turkish President Abdullah Gul, that the US was willing to sell armed drones to Turkey but had failed to get approval from congress. Turkey already hosts US drones which were moved from Iraq in late 2011 to Incirlik airbase to provide surveillance of PKK, the Kurdish separatist group . When one of these drones that saw a group of people crossing the border, the Turkish military bombed the group, but they were not Kurdish fighters but rather civilian smuggling petrol. At the Farnborough Air show in July 2012, General Atomics reported that it expected to begin selling the unarmed ‘export’ version of its Predator drone (the Predator XP) although it refused to name countries that would be potential customers. In September it was reported that the Pentagon has identified a further 66 countries that would be eligible to buy US drones (presumably including the Predator XP) if new DoD guidelines would be approved by Congress and the State Department. 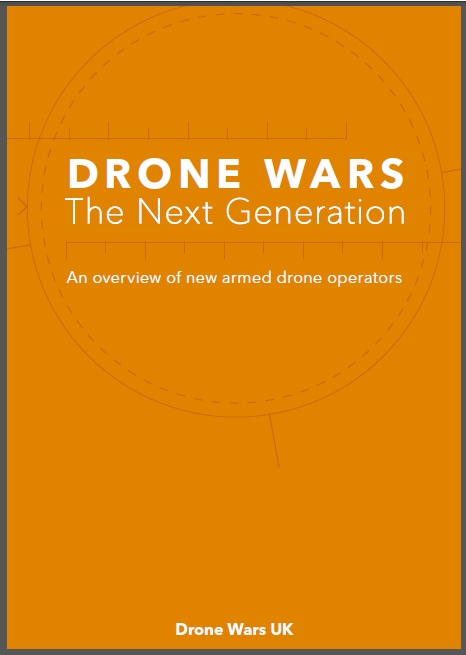 Throughout the year we have seen many military forces keen to get their hands on armed drones. The Chief of Germany’s air-force called for Germany to purchase armed Predator drones while neighbouring Poland plans to scrap its manned fighters for armed drones. Canada too is planning s to spend $1 billion on armed drones while it is reported that Australia too plans to spend $3 billion on drones. While many countries will not be able to afford (or be permitted) to buy the larger armed drones, military companies are working feverishly on ways to arm smaller drones as we have previously reported. This continued throughout 2012 and various companies reported on their work to arms these smaller drones with General Dynamics, Raytheon and MBM EDO all engaged in this work. Not to be outdone, General Atomics, manufacture of the Reaper and Predator drone are reportedly working on arming its drones with lasers. According to the company, drones and lasers are ‘a match made in heaven’. But it is the ability to operate drones at great distances, via military hardened satellites that is the key to expansion of the drone wars. And 2012 began and ended with the US and the UK respectively putting satellites into orbit in order to do just that. In January the US put in orbit a Boeing Wideband Global SATCOM 4 satellite to join three others (at least!) over the Middle East and South East Asia linking ground troops with command stations, and routing tracking and data streams from unmanned aerial drones. At the end of December the UK MoD launched the fourth Skynet 5 satellite which will also operate over the Middle East providing military communications including that for British drones.